← Praising the Lord. One Million Views on Agapegeek! 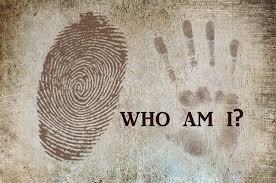 Bible Basics: Jesus Asks “Who Do You Say That I Am?” Part 2 – Believing in the Name of Jesus is a Requirement NOW! (Ver 1.2) This is Part 2 of a very fundamental and rudimentary but essential Bible Subject for every Christian to study, learn, understand and be able to share in an instant with all others in the world! What is that vital subject you ask? The subject that I am referring to is “Who is Jesus to you?” If you did not read from the beginning I would strongly recommend that you go back to “Part 1” to begin reading the series because all of that information will not be repeated again and it was very important for your understanding of who Jesus should be to you. The first lesson was a focused approach to understanding the significance of some of the most important revealed “Names” of Jesus in the Bible. If you read the first lesson you know that I introduced you to 3 of these primary names of Jesus found in the New Testament. There are of course several other revealed names and titles of Jesus that I did not mention. Later in the series we will explore more of these names but I will mention at least two other direct names today in this lesson. I hope after reading Part 1 that you at least have a better comprehension for the importance of these 3 Bible names of Jesus that were covered. These names were 1) Jesus, 2) Emmanuel and 3) The Word of God. All three names connected us directly to a personal divine appearance on the earth of the creator Lord God coming from heaven in the form of a man like us. In today’s lesson we will expand the subject of these 3 names by adding two new names “Lord” and “King” and we will begin to address the question of what benefit is there for believing in these names of Jesus? Were there any benefits in the early Church? Are there any benefits to these names in the modern church? Why is it important for us to even believe in the names of Jesus? What occurs if we do not believe in Jesus being God in the flesh or in His revealed names? We will soon be learning what the Bible says about what will happen if we believe in His name and what will happen if we do not. Wow that sounds imperative to know. In many of my Bible studies I place an added emphasis upon how to study the Bible. Today’s lesson will be more of this type of double teaching effort. I want to provide the reader with valuable spiritual information but at the same time I desire to teach a few of the rules and methods for how the information was obtained. In this way I am teaching the reader more about “how to fish for information” than simply just offering them a “onetime fish meal of information”. Of course the number one rule for every Bible study method is for us to be led by the Spirit of God and listen for His guidance as we study the Bible by faith. Following this rule will insure that we are on the right path to not deviate from the way of finding the truth. The Spirit of God is Truth (John 14:17) and we are told that He will guide us into all Truth (John 16:13). John 1:1 and Genesis 1:1 are parallel creation event verses connected together by God’s design. God in the book of John further clarifies and bring newly defined light and revelation to the subject of creation and the Creator. God is being declared equivalent to the Word in these verses and we are clearly informed that the Word created everything that was made. We can now go back and reread Genesis 1 and find that this is exactly what happened. God spoke His Word and the created things came forth and produce life. In these verses in John the name of God is the Greek word “Theos” and this is the equivalent of the Hebrew name of God “Elohim” by direct association. Notice, in Genesis 1:1 God says “In the beginning God (Elohim)…” and in John 1:1 God says “In the beginning God (Theos)…”. I know technically it says “In the Beginning was the Word” but later in the verse God tells us the Word was God (Theos) and that is a basic Algebraic law at work that says if A = B and B = C then A = C. Therefore I hope you understand why it is legal to say Elohim and Theos are equivalent but I will offer additional evidence as I continue in the lesson and probably repeat what I have said for the benefit of everyone. One of the things that I want to teach in this lesson is that anytime God quotes even a portion of a verse from the O.T. in the N.T., He is connecting the words across a language boundary. I hope you understand the importance of knowing this. This technique of word structure, definition and equivalency is part of God’s internal technical design of the entire Bible. God used this technique of quotation to help us and teach us the way through the complexity introduced by His usage between two main separations of languages found within the original Bible manuscripts. The O.T. was written in predominately Hebrew and the N.T. was written in exclusively the Greek language. So how do we resolve this major language separation when studying any subject in both the Old and the New Testaments? We do it by finding and using God’s laws designed for us to follow. Following God’s laws of how to cross language boundaries provide us very specific rules and boundary limits to avoid an “anything goes approach to Bible interpretation”. Without following God’s established rules there is only a random unstructured chaos approach to interpretation taking place based upon human reasoning and that will usually fail us 100 times out of 100 attempts. That is exactly why there are thousands of different Christian denominations in the world today. Too many people are ignoring God’s rules and inventing their own ways to understand the Bible. Here again are the two key words LORD and God that are being researched having been connected by God’s design to the New Testament in the Matthew 4:7 quotation. The Hebrew word H430 that was translated into English as “God” is Elohim and the Hebrew word H3068 that was translated as “LORD” in English is Jehovah. We now have a very direct confirmation that the Hebrew word Jehovah is directly linked and is equivalent to the Greek word Kurios and the Hebrew word Elohim is directly linked and is equivalent to the Greek word Theos in all of scripture. Do you understand why I could just say this? If not there are more than enough verses quoted in the N.T. that you could go through to prove this statement if you want to do the work. This is a very critical part of correct Bible study to find these types of details. This should leave no room for doubt that we are on the right track learning about who is named LORD in both the O.T. and the N.T. I do hope that you are beginning to understand where I am going. Now let’s go back to John 1 and review again. In the beginning was the Word and the Word was with God (Theos = Elohim) and the Word was God (Theos = Elohim). I just inserted the Greek and Hebrew equivalent words in this verse to help bring clarification to what God is speaking of. John 1:1 is very clearly telling us that the Word is God (Theos = Elohim) and it further teaches us in verse 2 that the Word was with God in the beginning. The terms “with God” and “is God” sound like conflicting statements but these are only possible because of the triune nature of God Almighty (Father, Son and Holy Spirit). Then in verse 3 God (Theos = Elohim) speaks clearly that all things that were made by God (Theos = Elohim) and everything that was made was made by the Word. Wow that is awesome information to teach us something very new and profound. Go back and review Genesis 2:4 again to make the connection. Genesis 2:4 said “Jehovah Elohim” created the heavens and the earth. Do you see the direct connection being made to who Jehovah was? Can you see that the “Word = God” in John 1 is the exact same God as the “Jehovah = God” in Genesis 2:4? Both are speaking of who created our world. I believe overwhelmingly that the LORD GOD is the same as the WORD GOD and they are equivalent and I will prove that statement further as I continue in the lesson. Let’s review some of the basic mathematical laws again to help us understand the Bible more clearly. The Bible was authored by the same God that created math so it just makes logical sense for us to apply the same laws of God’s math design to God’s application of His Word. Do you remember what I said earlier? I said that God Theos = God Elohin by God’s usage of quoted O.T. verses found in the N.T. I then said LORD Kurios = LORD Jehovah using the same type God’s N.T. quoted examples. Now using John 1 we learn how God connects the “Word” was equal to “God” which was equal to “Theos” which was equal to “Elohim”. I think this may be going over the head of many of my readers but that does not mean that I should not be teaching it. Now using the divinely connected verses of Deuteronomy 6:17 and Matthew 4:7 we learned that Jehovah Elohim (Hebrew) = LORD God (English) = Kurios Theos (Greek). I think I need to say this again because it is so very important for you to embrace, using O.T. quoted verse words in the New Testament we now know that Jehovah Elohim = Kurious Theos = LORD God. I am just laying a very important foundation for more knowledge that is coming. Ok if I haven’t left you behind so far I want to go a bit deeper. Recall from lesson 1 that Joshua was the original Hebrew name of Jesus. Never, never forget that Jesus was born a Jew and spoke the Hebrew language and not the Greek language. Jesus said very plainly that He was only sent to the lost sheep of Israel (Mat 15:24). When people met Jesus on the road they called Him “Yeshua” (Hebrew) = Joshua (English transliteration) = Jesus (Greek to English transliteration). This Hebrew name came down from heaven and was given to Him by an angel of the LORD GOD. As I have stated more than once we should know that the name Joshua was the Hebrew word H3091 and this meant “Jehovah Saved” which comes from two root words H3068 Jehovah and H3467 yasha being joined together. We have just learned that Jehovah (Hebrew) = Kurios (Greek). Therefore we can by the mathematical law of equivalency say Jesus’ name was the same as Kurios Saved because that would be the legal name using the Greek language equivalent. Why is this important? We will soon find out very quickly as we continue. I hope and pray that you are interested in learning because this is only going to get better. I have already established who the Word of God was stated to be in Lesson 1 of this series. The Word of God was a given name for Jesus revealed by God to us in the N.T. (Revelation 19:3). I have just emphasized that the name of Jesus was a Hebrew name originally and it is comprised of two key words Jehovah Saves. We are discovering further confirmation that Jesus was Jehovah come to save His people just as He was prophesied to do. So let’s now move on to further study that subject in the next section of the lesson to go even deeper. Psa 20:9 Save, LORD: let the king hear us when we call. This is my opening key verse to this entire section of the lesson. Please, notice what God says. The verse begins with “Save Lord”. Uh oh do you remember what that means in Hebrew? Opening in this verse are found the two key Hebrew root words that comprise the name of Joshua and Jesus. These words that were translated correctly as “save” and “LORD” are H3467 and H3068. Wow this is pretty good stuff if you are paying attention. I’ll say it again “these are the exact two Hebrew words that make up the name of Jesus” and this verse in the Bible calls Him the King that saves the people that call upon Him. Save us Lord (JEHOVAH) is the cry being made by the people in this verse. These were people on the earth crying out for the LORD to save them. So let me ask you who came to save them? Who is your savior today? Is it not Jesus? I know Jesus saved me for sure, but I cannot speak for you. We are told that they are crying out and calling for a king to save them. I’ll ask you again, “Who is this king that will save them”? Wow again, because if you know the N.T. just a little bit you know that Jesus is called the “King of kings” in Revelation 19:16 another divinely appointed name and title. I told you earlier that we were going to learn a new Name of Jesus today and that was it. Jesus is the KING of kings which clearly qualifies Him to be called upon according to this verse. Now know and believe that Jesus is this King and make the connection being made to Jesus our Savior and Lord in Psalms 20:9. Jehovah Saves = Joshua/Jesus and the people are calling upon this King named Jehovah for their salvation. Could it really be that Jesus is this prophesied King that will come to save us who call upon the Lord/JEHOVAH? I believe beyond a shadow of doubt that it is Him and we will certainly see many more verses in this lesson that will affirm that this King is Jesus. Seth is the third named son of Adam and Eve. Seth has a son and names him Enos. Enos is the same as the Hebrew word H582 that means “mortal” and I find that fact very interesting when observed by what God connects within the context of this verse to this name Enos being given. Enos was born approximately 235 years after Adam’s creation. You may recall by reading earlier in the context of Genesis 4 that Adam and Eve had a son named “Cain” first and then they had another son named “Abel”. The older brother Cain murders his younger brother Abel and this is the first direct mention of any natural human death occurring in our world in the Bible. I’ll say it again that this natural death of Abel entering into the world was the first recorded occurrence of human mortality to actually be observed by any other human on the earth. God plainly prophesied and warned Adam that death would come if he sinned and disobeyed God’s command. It was truly the sinful disobedience of Adam that allowed death to enter into the world according to Romans 5:12. I personally believe that it was the observed death of Abel the first human’s blood to be shed upon the earth that caused this verse in Genesis 4:26 to come to pass. Psa 99:6 Moses and Aaron among his priests, and Samuel among them that call upon his name; they called upon the LORD, and he answered them. Wow this verse is pretty awesome. Elijah challenges the priests of the false gods and tells them to call upon the name of their gods and he would call upon the name of Jehovah the true living God just like Moses, Aaron and Samuel did and the God that answered by fire would be God. That was an overwhelming display of faith in the name of Jehovah by Elijah. If you read the rest of the chapter you will find who heard, who answered and who prevailed in this challenge and it was the God named Jehovah. Was there any advantage gained by Elijah for him to call upon Jehovah? It is very self-evident that there was a great benefit found in this example for Elijah’s faith and wise choice to call upon Jehovah. This is just a very basic fact of truth being taught. If you called me by the name of John when my real name was Ron, please understand that I will probably not answer you. If you want a response from anyone you should probably know their name. If you want someone to answer you, it is wise to call them by their name. These are very simple truths yet extremely important to know. We could say that this “call on the right name and He will answer knowledge” is just “common sense” but yet this human quality seems to be an escaping virtue to possess these days for so many. God gives us examples in Psalms 99:6 of a few select men that called upon His name. These men were Moses, Aaron and Samuel and they are said to have all called upon the name of Jehovah and it tells us clearly that they received a response from Him. That is the first astounding benefit revealed by God in this lesson for believing in His name and calling upon the name of the Lord. God teaches us that if we call upon His name then He will hear us and He will answer because He is no respecter of persons. Therefore, if your LORD is Jesus then call upon Jesus and see if He hears and answers the same as Jehovah did in these examples. I believe that we have already established with scripture that Jesus was Jehovah in the flesh in lesson 1 but we re exploring more evidence in this lesson to remove all doubt. Notice the Apostles were teaching others about Jesus and this made the Jews very angry. But more specifically notice that the apostles were teaching directly about the “name of Jesus”. Wow that sounds important to me. Why would it even be necessary for the apostles to teach in the name of Jesus? Could there have been any directly stated or even implied benefits that were attached to this name that needed to be made known to the others that heard? Could the others that heard the name of Jesus being taught also gain any benefits from hearing about His name? Why would Satan not want the “name of Jesus” to be spread to others? According to this verse there must be some great significance for teaching in the name of Jesus that the enemy wants to silence. This name of Jesus sounds very important to me and I hope you will agree. This is exactly why I am spending so much time teaching on the name of Jesus. Here are two great subject verses. The Hebrew word in verse 12 translated as benefits means to “bestow on” or to “deal bountifully” with someone. That reveals to us that God by His freewill and sovereign choice has placed His infinite divine grace and favor upon those that call upon His name. But many will try to say that these verses are not about Jesus so why are you including it here? However that is really not true. Almost everything in the Old Testament points us to Jesus even if you do not see it at first. I teach that Jesus is the central themed subject of the entire Bible from Genesis to Revelation. Verse 12 teaches us that we cannot earn or repay what God is prophesied to do for us in this verse or now has done for us after Christ has come. However, this undeserved gift is truly a New Testament Grace concept. What is God talking about here that cannot be repaid? Verse 13 gives us a glimpse into what one of these coming benefits is. Salvation is the stated primary subject benefit for believing and calling on the name of the LORD. However, this “cup of salvation” must be taken by the one that it is being offered to. God does not force anyone to drink from this saving cup. This cup is what God has offered to every man, woman and child on the earth. God has extended the cup of salvation to each of us in this life. If we choose to take it we will be saved. How does this work? God tells you in the last part of verse 13. We must call upon the name of the LORD. Again that sounds critical to know. Could that be the reason why the Apostles in Acts were teaching the people about the name of Jesus? Here in this chapter’s context is found the primary subjects of human salvation in conjunction with the belief and placing our faith in the name of Jesus in order to be saved. Did you notice what this verse said? God tells us that whoever shall choose to make a decision and call on the name of the LORD they and they alone will be saved. Who is this LORD? I believe if you are intelligent you will know that this LORD is speaking of only Jesus Christ. Now please know and understand that this verse in Romans 10:13 is a direct quotation of another Old Testament verse about Jehovah found in Joel 2:32. Wow, that is just an amazing coincidence that God through the inspired writer Paul would use an obscure O.T. verse to teach us that the N.T. man named Jesus is the same LORD as O.T. named Jehovah. You see the Hebrew word that is translated as LORD in Joel 2:32 is Jehovah (H3068) the exact word found in over 5500 verses of the Old Testament and the Greek word in Romans 10:13 that is translated as Lord is Kurios (G2932) the same word we have been learning is the equivalent language match. Again these two verses in Romans and Joel further establish that the Greek word G2932 and the Hebrew word H3068 are equivalent words about the same subject just across a language division boundary. Are you getting it yet? I hope so. I hope and pray that you are beginning to learn why this is so important. God is teaching us that the O.T. Jehovah (LORD) is the same as the N.T. Lord Jesus using the direct law of inspired quotation. They must both be the same person called by one name “LORD” in two different languages. God is teaching us that it was Him, the Jehovah/Lord God that became Jesus and walked among us to save us. Why can’t people see this? People do not see the truth because the Bible says in 2 Corinthians 4:4 their minds have been blinded by the god of this world (Satan). Satan is still trying to stop people like me from teaching on the name of Jesus and who He is. There is truly nothing new under the sun. Joh 13:13 You call Me Teacher and Lord, and you say well, for so I am. In the first verse Jesus asks “Why do you call me Lord (Kurios) and do not do what I say?” In the second verse Jesus says “You call me teacher and Lord (Kurios) and you speak well because I am (He)”. However, remember again the basic fact that Jesus was a Jew and spoke Hebrew, so He was not speaking the Greek language when He said these statements even though it was recorded in the Greek language for us to read. This means from our previous study that Jesus said Luke 6:46 “Why call you me “Jehovah” “Jehovah” and do not do what I say?” and in John 13:13 He said “You call me teacher and JEHOVAH and You are correct I am”. Wow, Wow and Wow! Are you receiving who Jesus claimed to be? Get what Jesus is saying. Think like a Hebrew for a few moments! Put yourself in the audience when Jesus made these statements and you will soon understand why many picked up stones to kill Him. Let every word of truth be established in the mouth of two or three witnesses the Bible teaches. God again quotes the prophet Joel here in this verse in Acts. This verse is a duplication of Roman’s 10:13 statement. The Apostle Peter after being filled with the Holy Ghost stands up and preaches to the multitude that was found present to hear him. If you read the context you will find that He is speaking directly of Jesus as being this “Lord” that Joel prophesied about coming. Wow again, is that not just a little bit crazy? I’m being humorous by asking that question. No, Peter was not crazy. Peter was a Jewish man also and he was quoting a Hebrew verse about Jehovah claiming that it was written about Jesus. Therefore, Peter claimed that Jesus was Jehovah come down to the earth and was teaching this to anyone that hears it. Rom 10:9 That if thou shalt confess with thy mouth JEHOVAH is Jesus, and shalt believe in thine heart that God hath raised him from the dead, thou shalt be saved. Rom 10:9 Because if you acknowledge and confess with your lips that Jesus is Lord (JEHOVAH) and in your heart believe (adhere to, trust in, and rely on the truth) that God raised Him from the dead, you will be saved. Notice how the amplified translated the original Greek. I added the word (JEHOVAH) to bring clarity because this was the original Hebrew equivalent word. The amplified Bible said for us to say “Jesus is LORD” and by the law of Algebraic equivalence we know that we can or should say “Jesus is Jehovah”. BY believing who Jesus was and making this statement we are declaring Jesus to be Jehovah our God and this verse says when we do that we will be saved. This harmonizes precisely with the verses we just looked at in Joel 2:32, Romans 10:13 and Acts 2:21. Here in these verses we find the primary reason for believing in the name of Jesus and calling upon His name. Peter very clearly teaches us that there is no other name under heaven given among men where we can even think to be saved. Wow, wow and wow!!! Here we again get confirmation that the name of Jesus is an absolute necessity for being saved. This implies that we must know who this name was given to and what He represents. What makes this name different than anyone else’s name on the earth? Why would Satan want us to not teach about this name, learn or know this name? Anyone telling you that Jesus was not God is from Satan and you have a choice to believe them or not. I am telling you plainly that Jesus was God using more than enough verses from the Bible to establish the truth and you have the same choice to believe what I say from the Bible or not. We should learn that salvation is the primary need to learn, know and believe in the name of Jesus, but there is also another quick reference given to us in verse 10 that should be mentioned. If you read the context you will find why Peter is speaking about Jesus and His name. Peter had just used his faith in the name of Jesus to cause a lame man at the temple gate to walk. It was this name of Jesus that Peter said made the man whole. The Greek word translated as whole means to be healed and made complete. That teaches us that salvation is much more than just God taking our spirits to heaven after we die. No the Greek word translated as salvation is “sozo” and it means to be made whole spiritually, mentally and physically. Go back in Acts and read verse 9 where Peter is telling the elders “by what means this man was made whole”. The Greek word “whole” in this verse is G4928 “sozo” and it means “to save, deliver or protect”. This word is used in the N.T. in a varied and wide all-inclusive process. The name of Jesus saves us in so many ways that most of us have not yet realized or believed. I’m really not going to get into this part of the meaning of salvation any further in this lesson. I have other lessons that will expand upon this if you are interested. What we must conclude from just these few verses that I have gone through so far today is that Jesus was Jehovah come down to save, deliver and protect us by our faith in His name and saying He is our Jehovah (LORD). That is what the name Jesus means and that was what has occurred and is offered to you if you choose to believe it and receive it. Therefore, our salvation is the most important reason for believing in and calling upon the name of the Lord Jesus. This truth was clearly established in Romans 10:13 and Acts 2:21. We are commanded to call upon His name and God says we will be saved. Satan will fight you over this and try with all his power to get you not to believe this because this will take you out of his kingdom of darkness and he will no longer be your lord. I seriously hope and pray that you understand what is being said here because the antithesis truth not directly stated is that if you do not believe or call upon the name of Jesus you will not be saved and go to hell. According to God people can bow their knees to the name of the LORD Jesus right now by their choice or they will be forced to bow later without a choice. There are no other options given to us. It is and always will be a right now decision by an act of freewill humble submission and surrender or later by an act of superior force. You need to spend a lot of time reading these verses and understanding what is being revealed about Jesus conforms to everything that I have taught up until this point and then realize who God claimed Himself to be in His written Holy Word. Verses 5 through 8 teach us about God coming down from heaven and taking on the form of a human male. He humbles Himself to be a servant in order to die on a cross for our sins. Verse 9 is referring to God raising Jesus from the dead to ascend back into heaven being given a much superior name above every other name. Read down to verse 11 and notice who Jesus is written by God’s design to be again. God tells us in this verse that every tongue will confess that “Jesus is LORD”. Who is this LORD? Always remember that the Greek word translated as “LORD” is G2962 Kurios the exact same word that we learned earlier that was equivalent to the Hebrew word H3068 JEHOVAH by God’s definition? If God inspired the writer Paul to write this message in his native Hebrew language instead of the Greek, what would it have said? Remember the writer Paul was a native Jew by his own admission. Paul would have thought thoughts primarily in the Hebrew language. Therefore, reread the statement inserting the Hebrew word equivalent, “every tongue will confess that JESUS CHRIST IS JEHOVAH”. Wow that is a very strong word of warning for us to believe in right now. I really do not understand why people do not think when they read the Bible. The truth is staring them right in the face but it is hidden from their view by wrong thinking. Please confess that Jesus is Jehovah right now because later you will be forced to say it but it will be too late. When we believe on Him we will call and when we do not believe we will not call. When we call upon Him, He will hear us. When He hears us, God says that He will answer. All who believe and call on the name of the LORD Jesus will be saved. Salvation is found in absolutely no other name but the name of Jesus. I’ll say it again, there is no other name given to men whereby we may be saved. Never forget to tell people that Jesus is Jehovah. I appreciate you taking the time to read this Bible lesson. I do pray that it opened your eyes to see some things that you have never considered before about Jesus and God’s Word. I hope and pray that this lesson will give sufficient evidence to convince any doubters to confess Jesus is Jehovah now. If you have the opportunity to share my website with your friends and family I would be so grateful for your help spread the Word of God to others. Thank you all and God Bless you until next time. Posted on January 16, 2015, in Bible Basics, Bible Study, Jesus, Understanding and tagged Bible, Church, God, Jesus, Religion, Salvation, Truth, understanding. Bookmark the permalink. 12 Comments. Why does Jesus say that to get to my father you have to go through him. When God his him. Thank you for reading and asking an important question. Unfortunately the answer is a very deep Bible study which is not easily stated in a comment reply. I will give a very quick short answer and will trust that you will go and read other Bible lessons on this Blog to learn more about the deeper study. Jesus’ death on the cross ended every other covenant relationship that God had with every other spiritual being. This included the Jewish Old Covenant of Law (Rom 7:4 earthly Jerusalem) and God’s even older relationship with the angelic beings led by Lucifer/Satan (Gal 4:24 Jerusalem above/Heavenly Jerusalem). Jesus arose from the grave to implement a New way and a New Covenant with God (Heb 8). This new door into the sheepfold is described in John 10. By entering into Jesus the Door no other spiritual being is permitted entrance into His Kingdom. This is why the Bible says if Satan would have known the result of killing Jesus before he did it, he would not have crucified the Lord of Glory (1 Cor 2:8). fully. Thank you and God Bless you. I have recently made a decision to follow God. I just wanted to ask why I can’t view content past December 2017? I am not sure what device you are attempting to read the blog on. A computer browser should have a menu at the top that has many choices to read. There should also be a search that allows you to look for specific topics. A phone or tablet is similar but the placement of the menu may be behind a button at the top left (usually). Thank you so much for all of your hard work. What a wonderful project to have undertaken. I pray that it reaches many. I know that I have no right to further burden you but I was wondering if you have any works on the Holy Spirit that you are willing to post? Thanks again for blessing us with your gift. Thank you so very much for your kind comments and questions. Please subscribe to the site and when the Lord leads me to write about the Holy Spirit you will receive a copy of it. God Bless. Thank you for this amazing Bible study. God bless you! This is definitely one of the most well put together, concise, and on-target posts I think I have ever read by you. Well done Ron. Truly blessed work. I am going to share this with my Unitarian friend first thing tomorrow morning. He says that he is a follower of Jesus but he does not believe that Jesus is God. He believes Jesus is just the Son of God. This article will help him tremendously. Thank you very much for your comment. I do appreciate it very much. God Bless you. Thank yo Brenda. You are a great blessing.